The evolution of Bitcoin is unlike anything we’ve seen in human history. The emergent technology-turned-currency has reshaped everything we know about how people exchange value, all while single-handedly doing more damage to the fiat banksters than anything else. With this lightning-fast progression has come increasing complexity in how the cryptocurrency is sustained and used. To overcome the Fed’s fiat fraud, a new currency needs to be faster and cheaper to use—and that is largely where my original excitement for Bitcoin and crypto has always been. Most recently, we’ve seen the forks in Bitcoin Cash, as well as some increases in fees and transaction times. These growing pains have, ironically, been both a sign of the asset’s success, but also its increasing uncertainty. Within all of this development lies incredible opportunity for newcomers and new innovations to sustain the original vision and promise of blockchain technology. Indeed, I do believe Monero (XMR) is the best privacy coin right now, though any of these other tokens—BTC, ETH, etc.—could innovate further. Aside from cryptocurrencies, Omar and I actually got to cover a range of other topics, including the rise and slippery slope of Big Tech censorship (while ironically pushing fake news), shadow-banning and deplatforming of conspiracy theorists. At the recent TDV Summit, the world’s leading financial experts presented the best strategies for investing, privacy, expatriation, internationalizing of assets, Perpetual Traveler (Prior Taxpayer) lifestyles, and more. Get their indispensable knowledge and insight in the videos HERE. 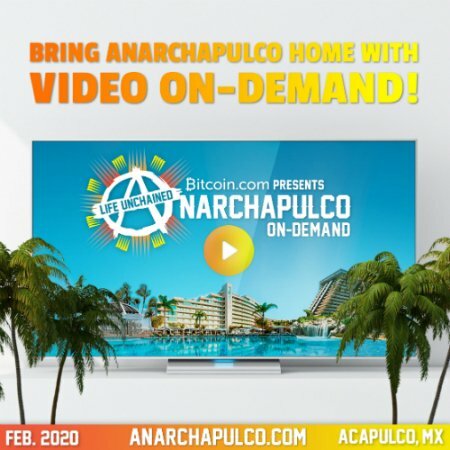 You can also now get on-demand access to each remarkable speech from Cryptopulco and Anarchapulco 2019! If you’re not convinced this information has the power to change your life for the better, we’ll refund your purchase.